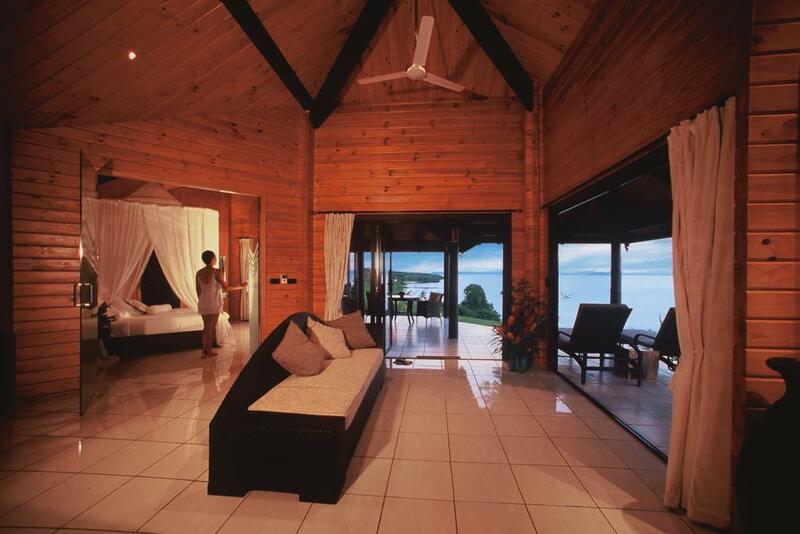 This superb Fiji resort is located on the northern island of Taveuni, (The Garden Island), an easy 90 minute flight from Nadi. 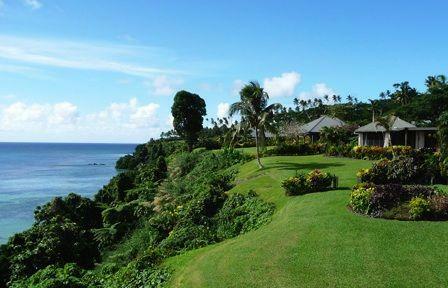 Nestled in 10 acres of beautifully landscaped flower gardens, bordered by white sandy beaches, Taveuni Island Resort & Spa offers spectacular panoramic views of the Ocean - Somosomo Straits. 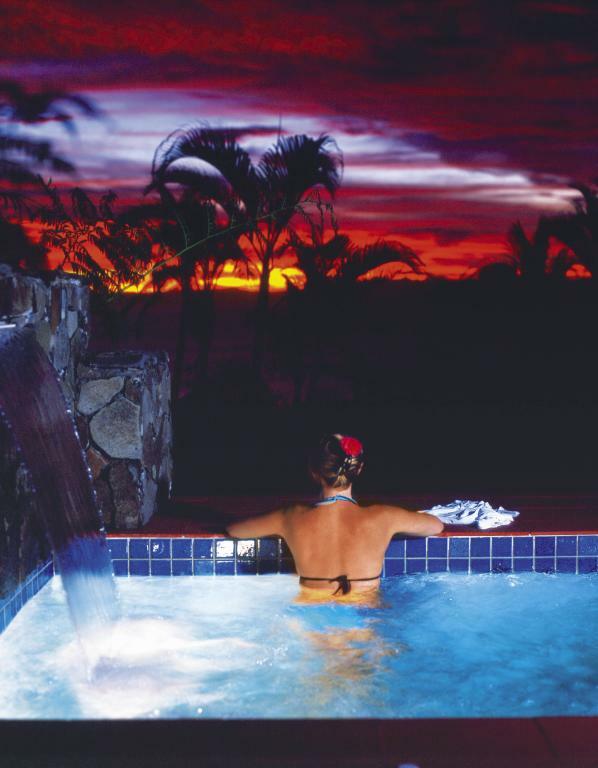 This Fiji accommodation has 11 beautifully appointed villas including one Matalau Grande Villa with a plunge pool, the resort accommodates just 28 guests at the resort at one given time. 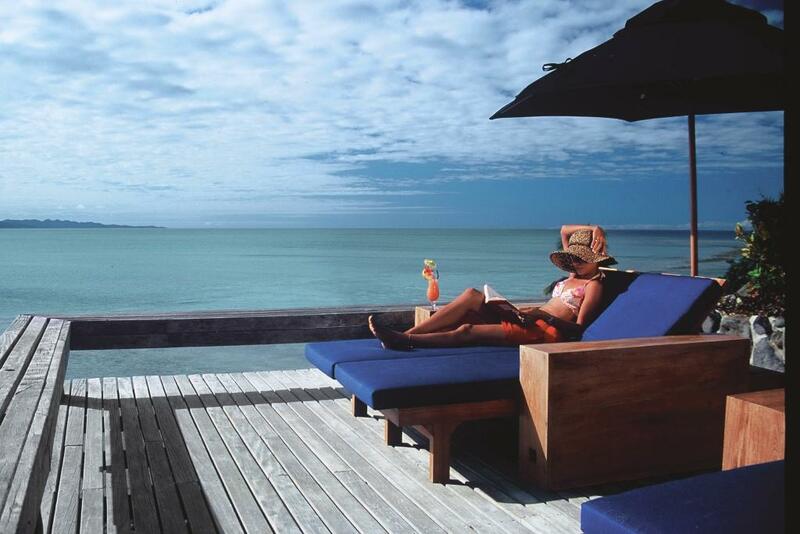 All accommodation types are incredibly romantic and perfect for honeymooners or couples wishing to celebrate a special occasion or enjoy a romantic interlude. 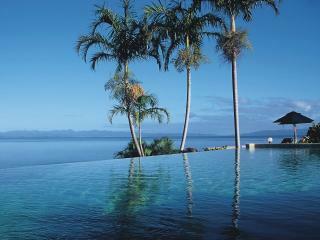 The diving on Taveuni is exceptional. 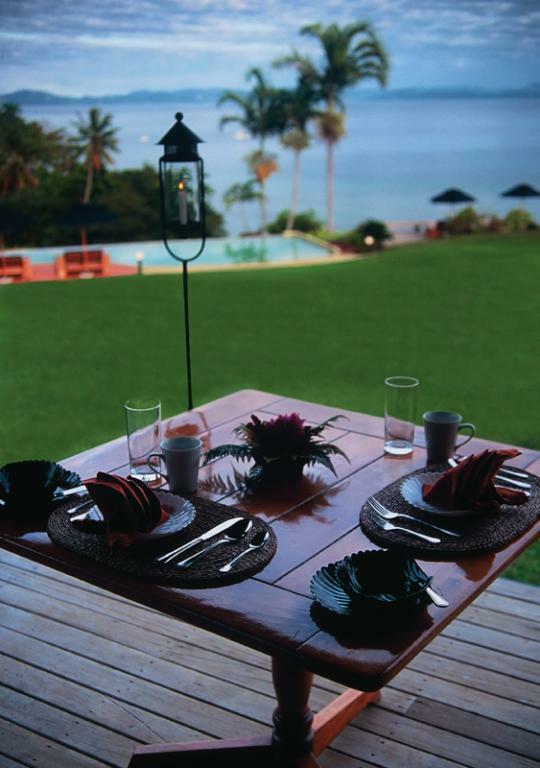 Wake in the morning and stroll down to the pure, crystalline water for the first snorkel of the day or take a rainforest or waterfall walk before breakfast and a morning massage. 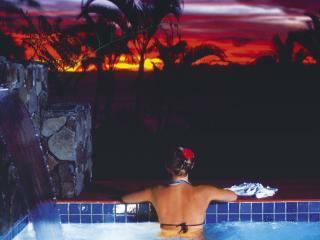 Taveuni Island Resort & Spa is not a 'disco-wild-night-life' island. 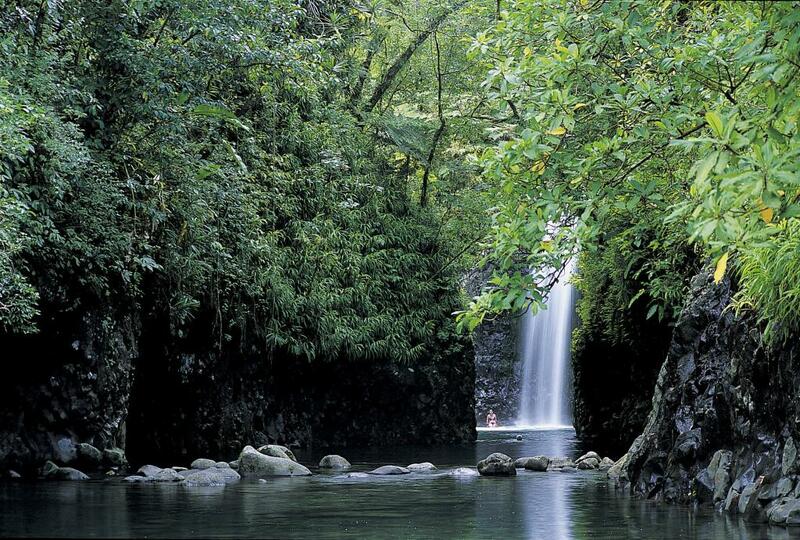 It's a large, tropical island with lush rainforests and 140 waterfalls and streams. 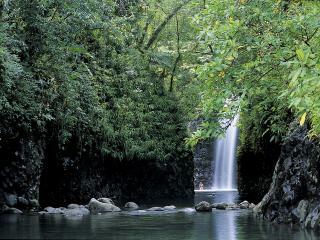 (It's where the second Blue Lagoon movie was made and you can walk there to swim and play in two waterfalls). 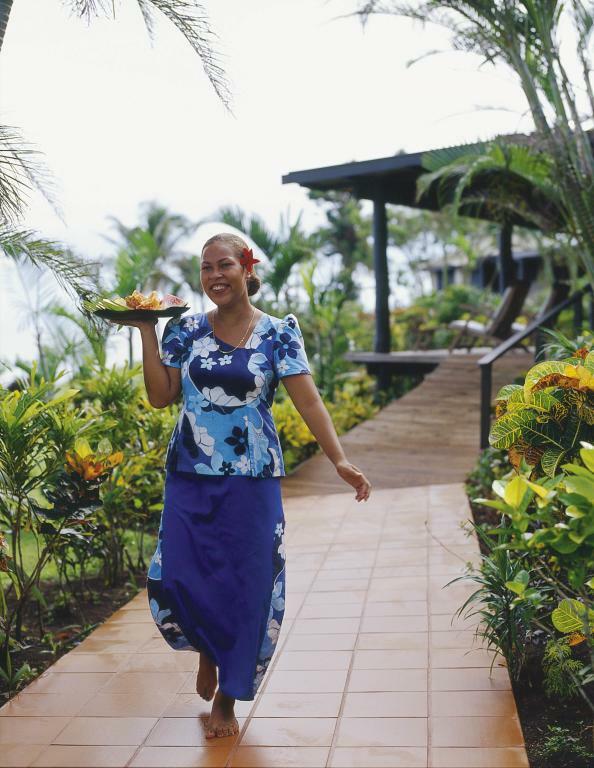 There are around 32 staff members at the resort to care for guests, and they are part of the island 'family'. 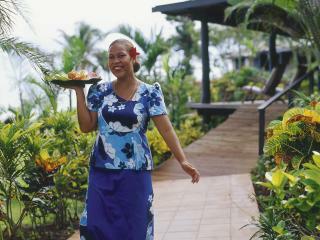 Please note that Taveuni Island Resort & Spa operates exclusively for guests over the age of 15. 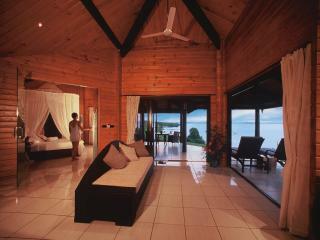 Taveuni Island Resort & Spa has 11 luxury villas that are ideally suited to couples looking for a relaxing Fiji holiday. 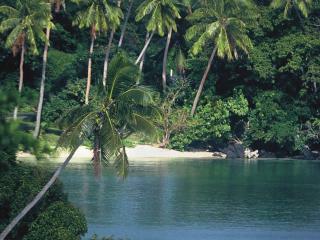 Taveuni is a tropical island ideal for nature lovers and divers alike. 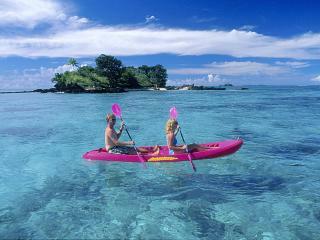 For guests wishing to explore the island, a variety of tours and activities are offered. 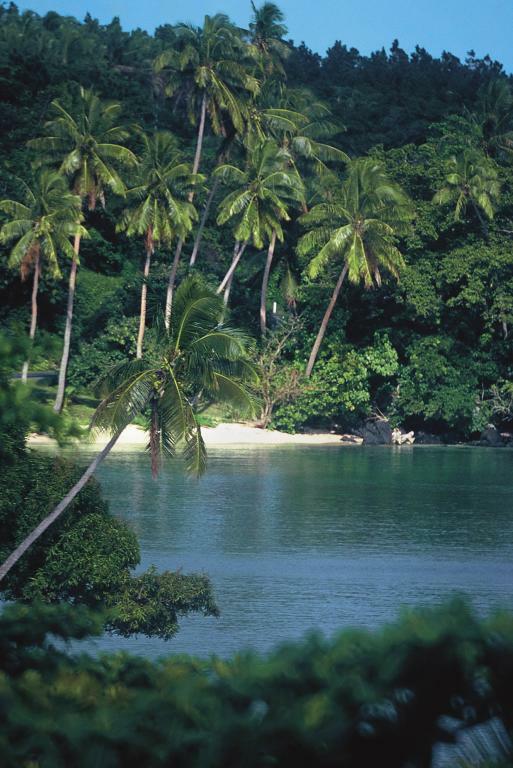 Diving near Taveuni is also exceptional as the reefs in the Somosomo Straits abound with a variety and diversity of marine life. 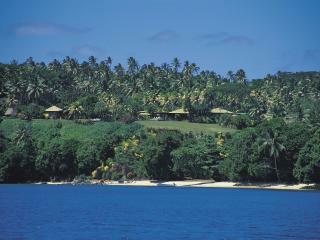 Diving is available through Swiss Fiji Divers organised at the resort. 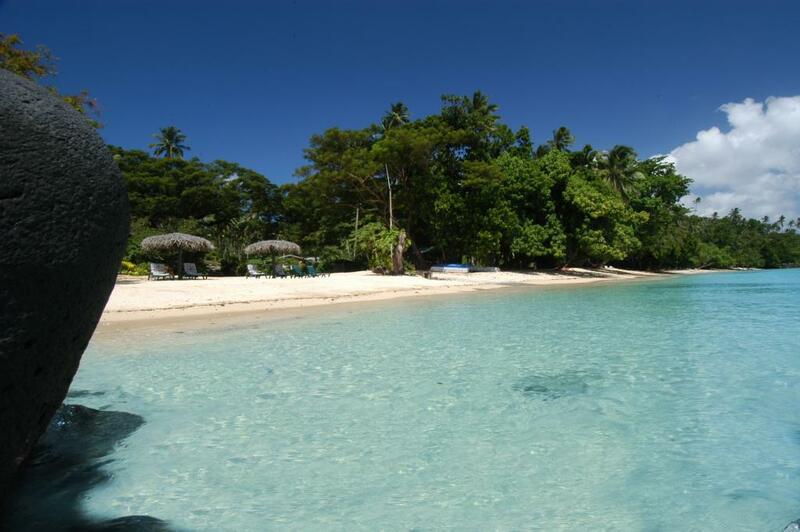 Taveuni Island has some of the best diving spots in the world and is known as the soft coral capital of the world. 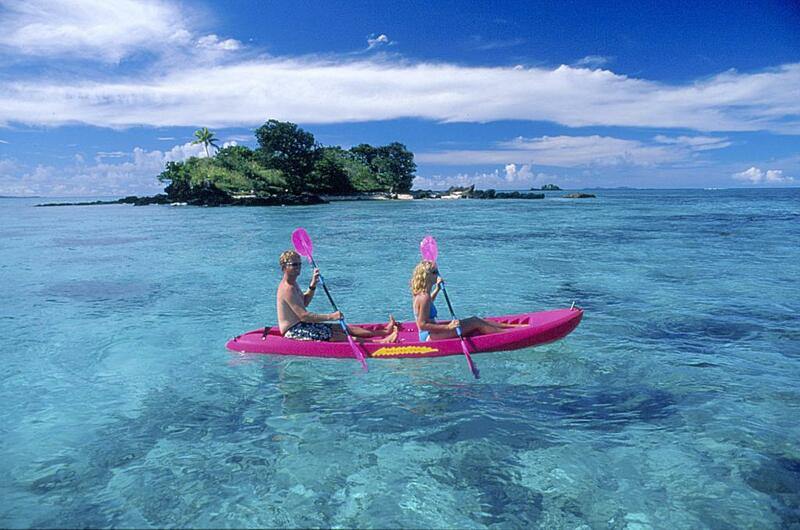 Explore the Somosomo Straits and Rainbow Reef. 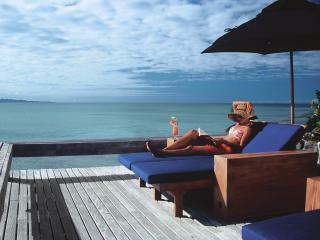 This beautiful reef is 30km long and boasts magnificent multi-coloured soft corals, as well as stunning hard corals. Rainbow Reef is known for its marine life, manta rays, barracudas, white tip sharks, butterfly fish, stone fish, long nose hawk fish and leopard sharks have all been spotted around Rainbow Reef. 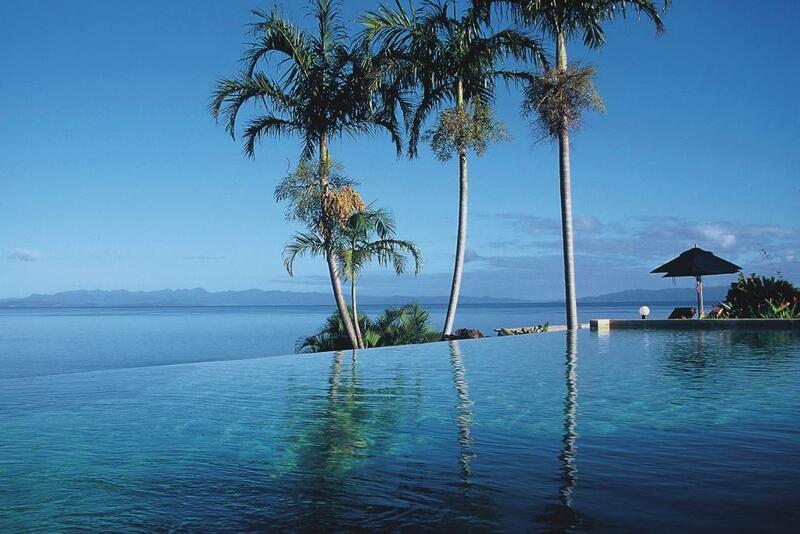 The resort for 25 years was the Top Dive Resort in the South Pacific. 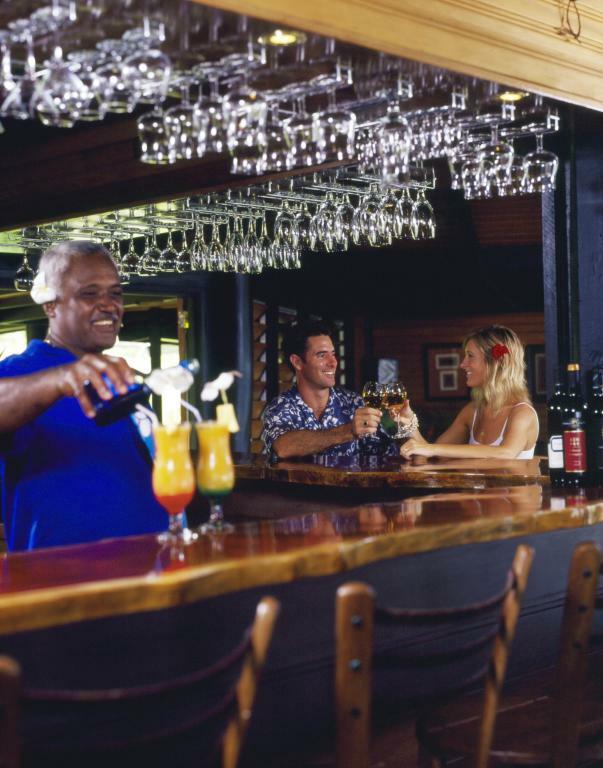 The owner of Taveuni Island Resort & Spa discovered all the sites on the Rainbow Reef and Great White Wall which are now legendary throughout the world. 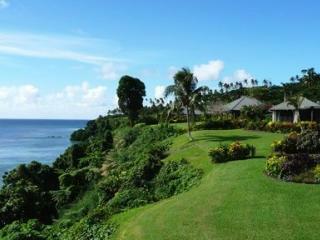 Taveuni Island Resort specialises in romantic dream wedding ceremonies. 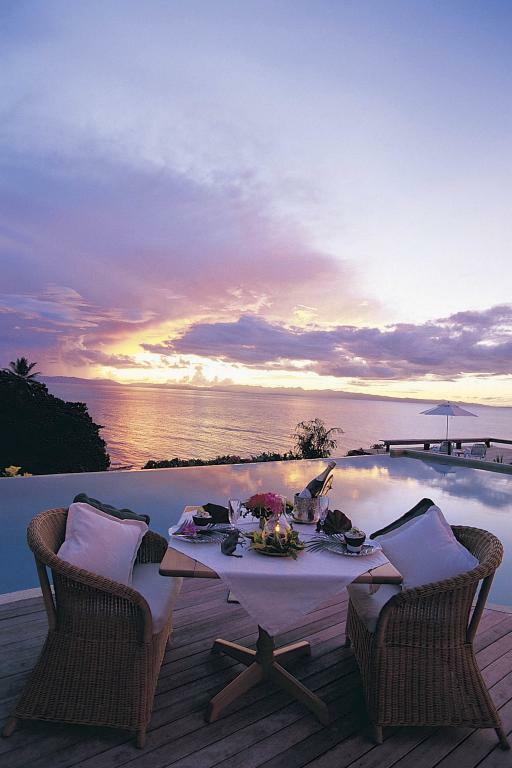 Elope amidst gardens ablaze with tropical flowers or at sunset on the decks overlooking crystalline waters and softly swaying palms or on the white sandy beach under the tropical sun. 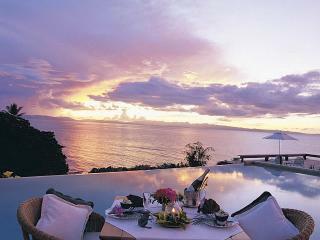 There are several wedding packages or you can custom design your own. 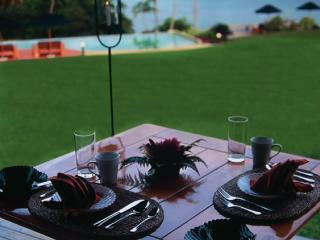 Here is one of the packages available. If you would like further information please contact us or click Instant Quote for pricing. 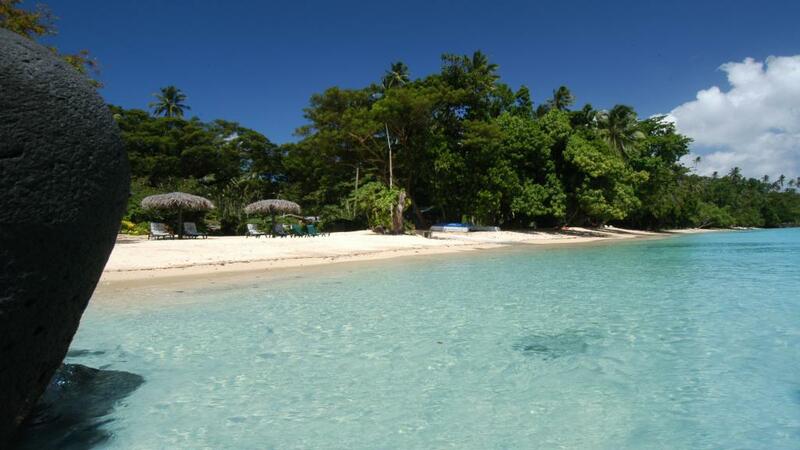 Taveuni Island can be reached by inter-island flights that depart daily from Nadi and Suva International Airports. 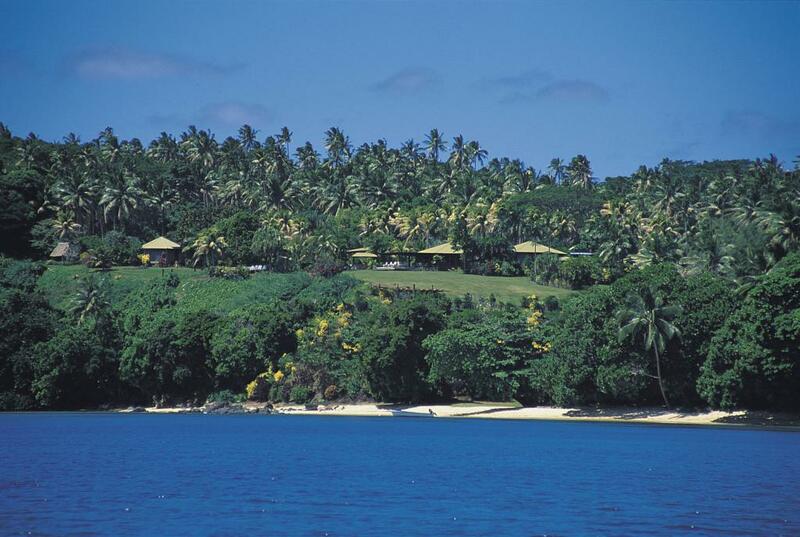 The connecting flight takes approximately 90 minutes from Nadi or 60 minutes from Suva. 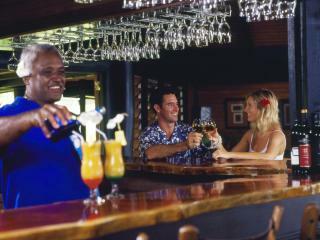 Complimentary return road transfers from the Matei (Taveuni Island) Airport to Taveuni Island Resort are included in the room tariff.